From the previous update, I mentioned that STI has been trading sideways and we have yet to see any real volatile action for traders to capitalize on. STI is currently near the bottom of the sideway range. Congratulations to all the short-term traders / traders trading on shorter time frames, being able to ride on the penny stock runs for the past few weeks. 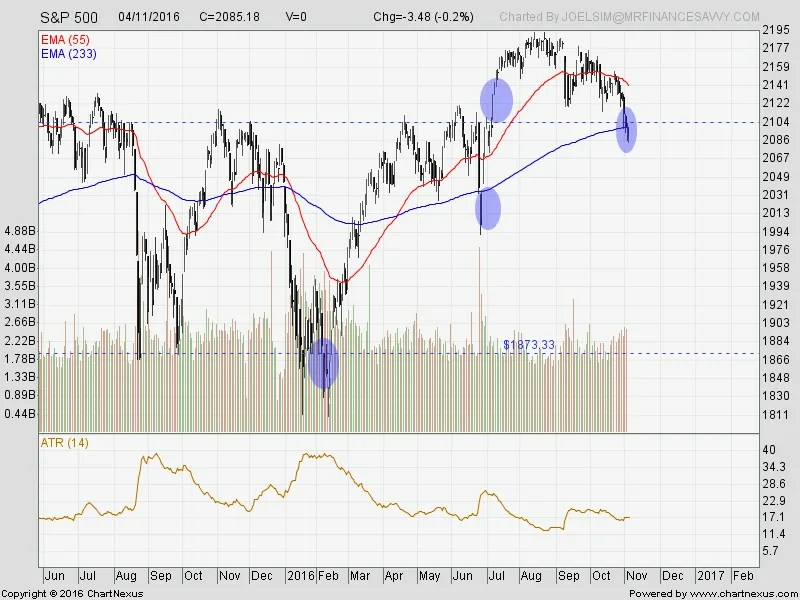 Sideways traders may consider buying on a bullish candle, to capitalize on the range trade. 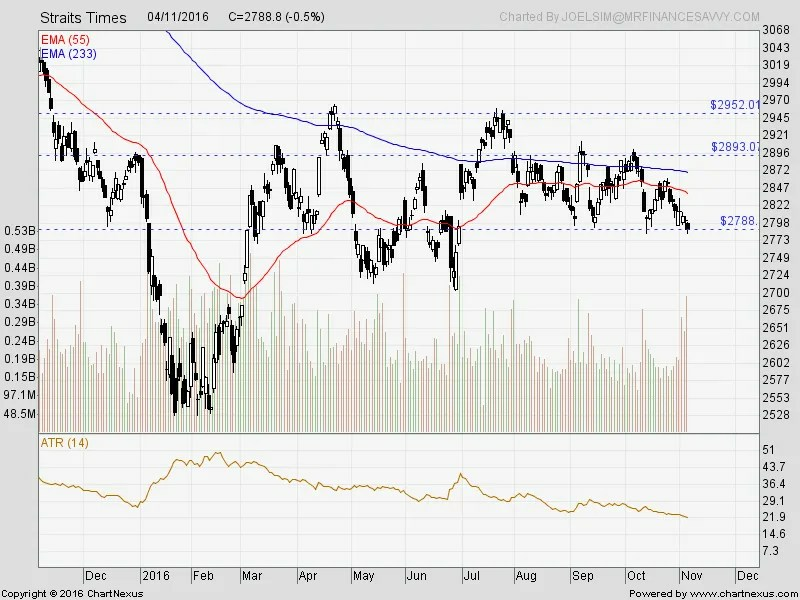 If STI breaks the 2788 support region, we will see a continuation of a downtrend after a really long period of sideways movement. For now, I am inclined towards the former. US elections are here and I have been looking forward to this event for many months now. 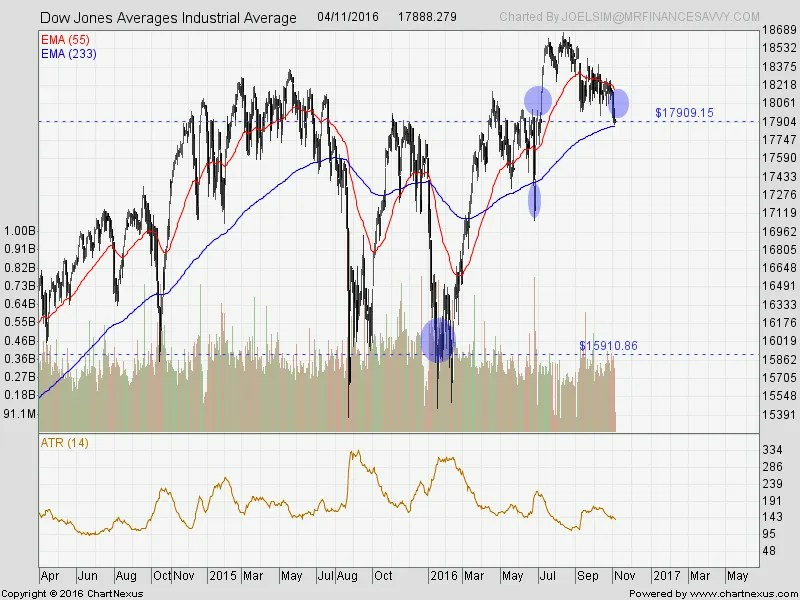 I am hoping for the market to be volatile after such a long period of consolidation since July till now. Traders love volatility. The market conditions have aligned for me to take 1-2 long positions either today or tomorrow. I am going to trade today if the market opens with a strong bullish candle. If not, I will wait till tomorrow and prepare my trades again. 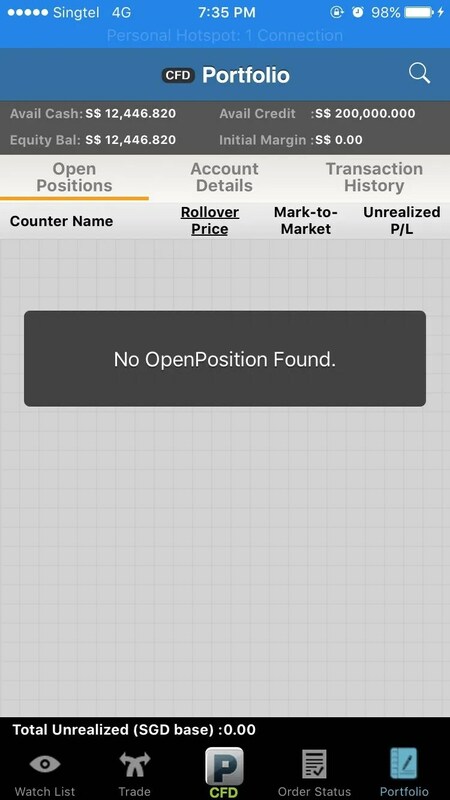 Yep, I have no open positions at the moment and I have been waiting. Cut a few losing trades and I am at 24.4% returns to date for the year. See you all in the market!